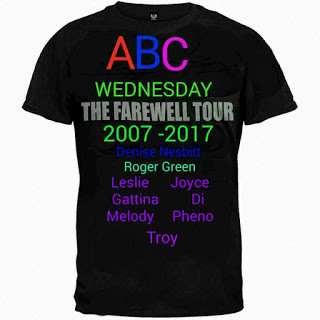 This week at ABC Wednesday, R is front and centre. 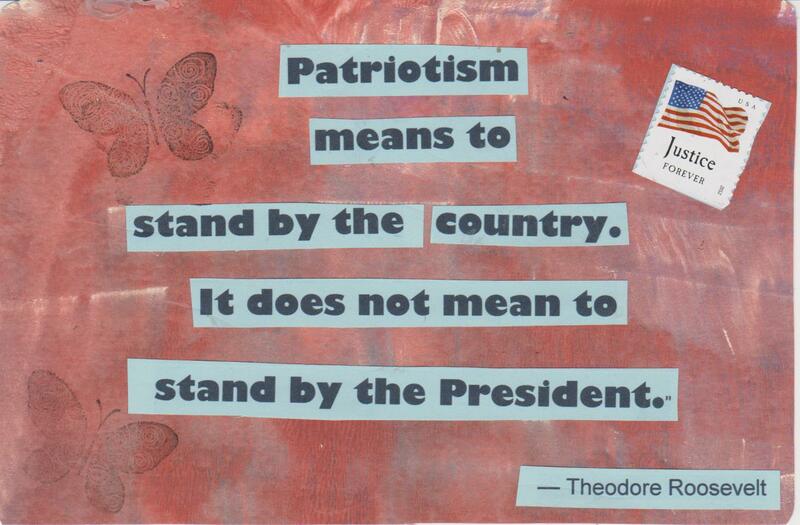 Teddy Roosevelt - with some very wise words. 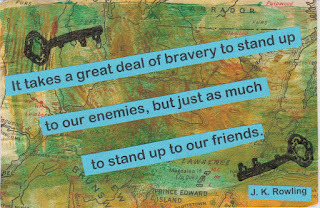 J.K Rowling - who's words made me reflect on our Prime Minister's stand against Trump - our two countries have been supportive friends for a long time - time now to stand up to the bullying of that friend. Many around the world probably feel the same way. Check here to see how others around the world treated R this week. Each week at "Stamping Ground", Julia Dunnit encourages us top to share our work spaces and what we are working on. This morning I created my two "Speak out" cards at my dining room table. Not a JK fan, but I guess i really get what Roosevelt intended to convey. 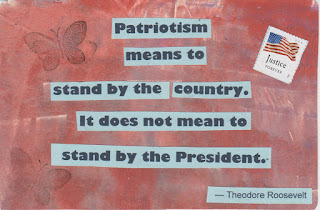 I think he meant that as a president he was not as valuable as the people he was to work for.